Time to be well-red! 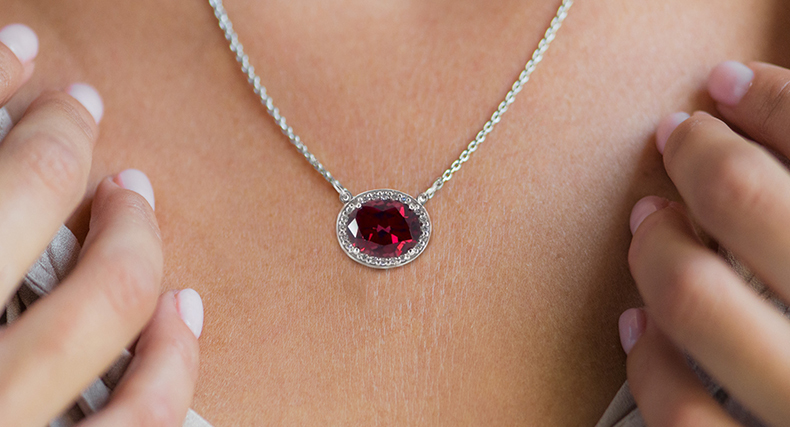 Find the perfect jewelry gift with garnet, the January birthstone. Though its most common shade is an intense red, garnets range from transparent to opaque and all across the color spectrum. 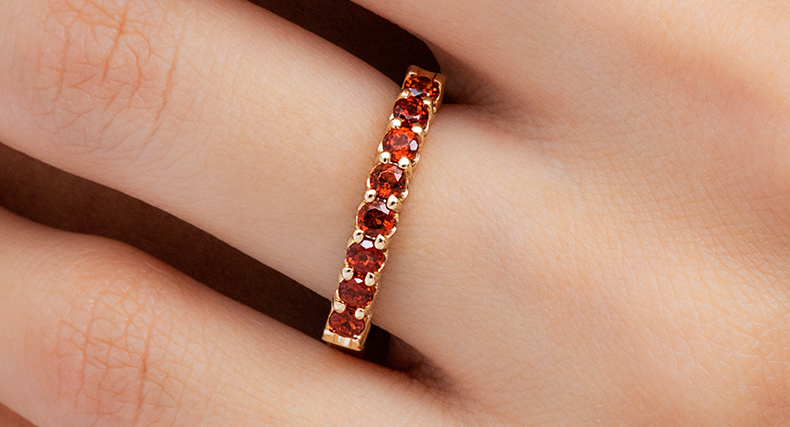 Red garnet is striking when set in white gold and platinum and has a softer beauty when set in warmer metals. Read on for garnet symbolism and gorgeous january birthstone jewelry gifts! 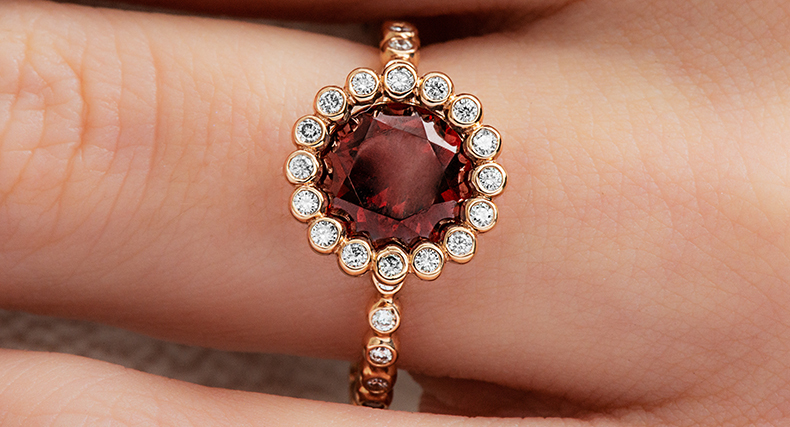 This oval cut garnet ring is flanked by studded pavé diamonds. We’d choose this one as an alternative engagement ring because of its powerful symbolism – the garnet birthstone is believed to revitalize, purify, and bring serenity to the wearer. Rose gold throws it back to Late Antique Rome, when both bronze hues and garnet jewelry were extremely popular. Plenty of other civilizations did as the Romans did: the January birthstone was adorned by ancient Egyptian pharaohs and medieval nobility alike. 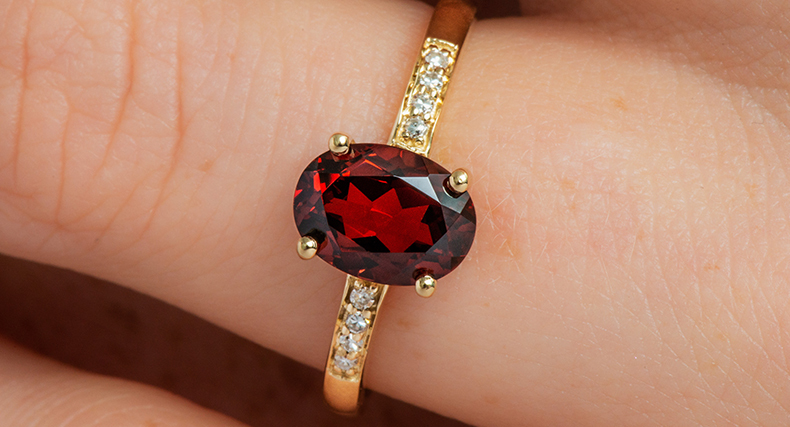 “Garnet” likely comes from the same root as “pomegranate,” mirroring the small, seed-like red gems that line this ring. 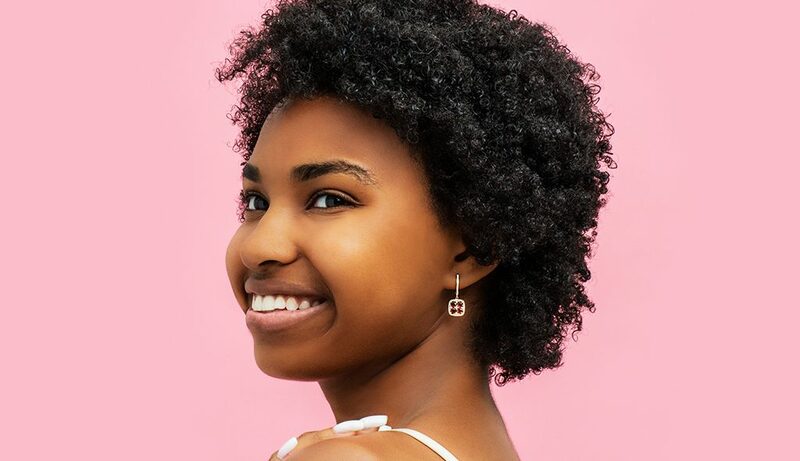 Bonus: whether for a stackable ring or a wedding band, the Perfect Fit grooves on the sides make sure that your January birthstones stay front and center. This garnet dips deeper into purple with glamour worthy of the 1920s Art Deco style. 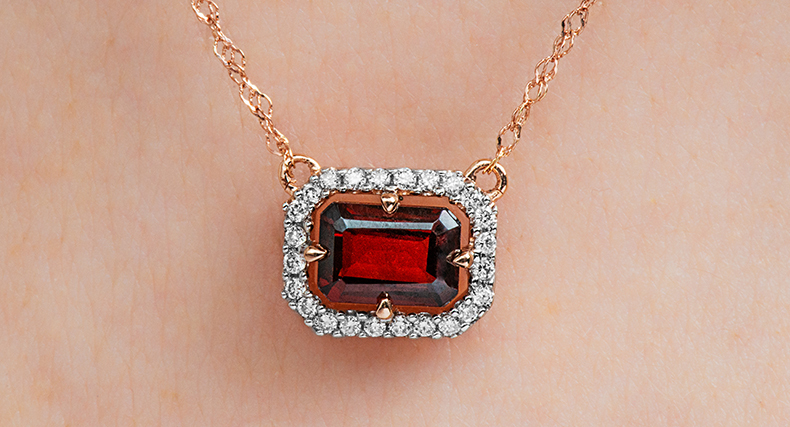 It’s the perfect size for everyday wear, while the diamond-garnet combo adds some luxe to the classy January gem. The January birthstone symbolizes loving, lasting friendship – and like all of us, this gemstone is made even brighter by those that surround it! The garnet and its wearer make a sweet tag team; tradition holds that those who wear a garnet and act kindly will receive kindness in return. OMGarnet, this pendant as an anniversary gift would be a dream. 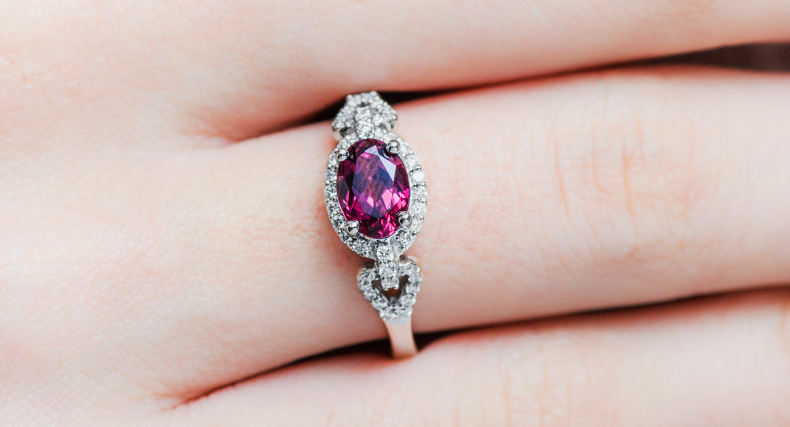 If it’s your second wedding anniversary, you’re in luck – the garnet is the go-to jewelry gemstone for year two gifts, and this smoky, cushion-cut rhodolite is sure not to disappoint! 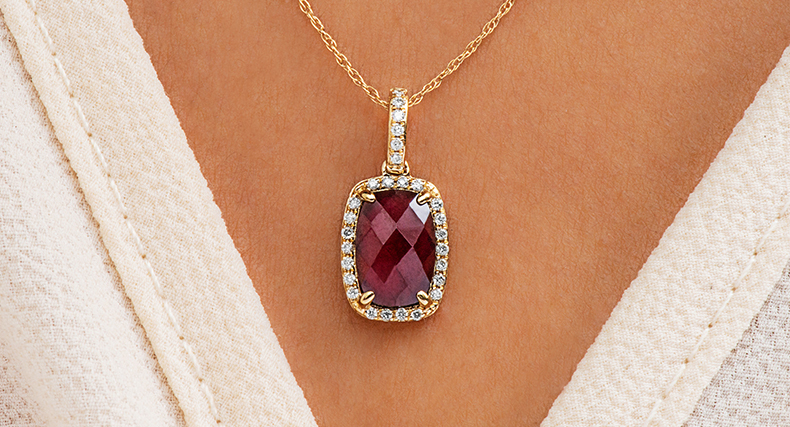 The east-west horizontal setting of this pendant is perfect for the January birthstone. In fact, the garnet’s claim to fame stretches across America from East Coast (as the state gemstone of New York and the state mineral of Connecticut) to the West Coast (as the state gemstone of Idaho). 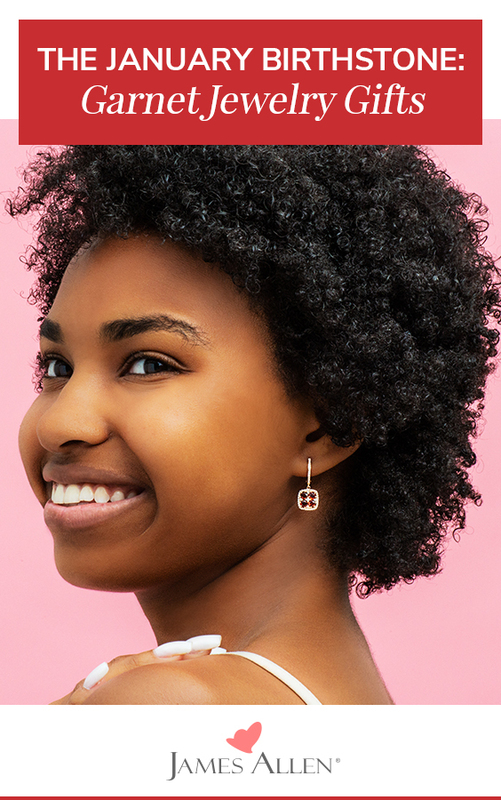 Basic studs get a bright, vivid upgrade with these round cut January birthstone earrings. Simplicity is key, and we especially love this garnet earring basket setting in yellow gold for all-around warmth. 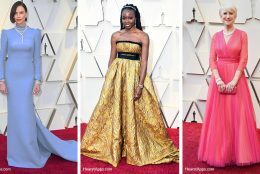 This gemstone trio lights fire with fire! 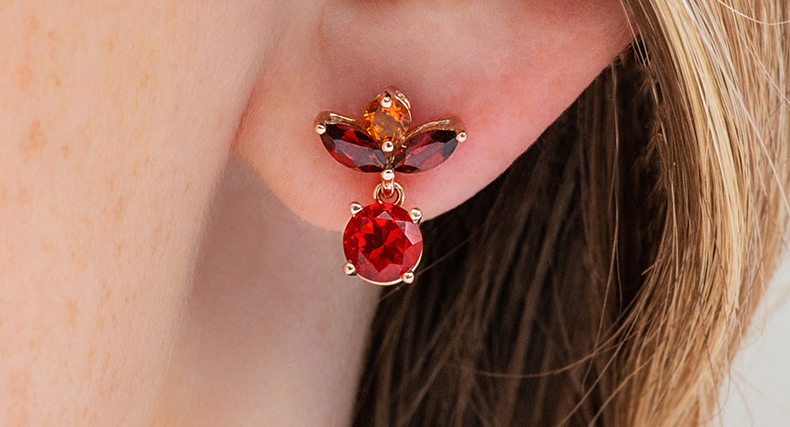 Combined with round cut fire opal and citrine, these marquise cut garnet drop earrings add a flaming hot touch to any look. Though the colors are bold, these earrings’ silhouette makes them completely refined. Our birthstone guides: December Blue Topaz ♦ November Citrines ♦ September Sapphires ♦ February Amethysts ♦ March Aquamarines ♦ April Diamonds ♦ May Emeralds ♦ July Rubies.